I get great enjoyment when presented with a request to create a 3D Chart for an unusual location especially if I can recreate the piece using a classic B&W chart. In this case it was for a client who lived in Japan, the location is a group of islands to the south called the Ōsumi islands. 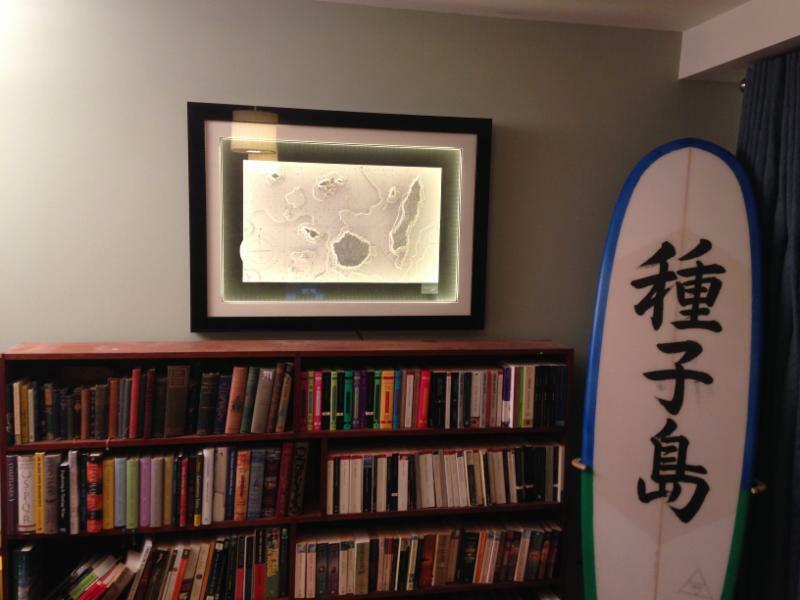 This piece evokes great memories of living and surfing in Japan – note the writing on the surfboard……..what more can I say ! 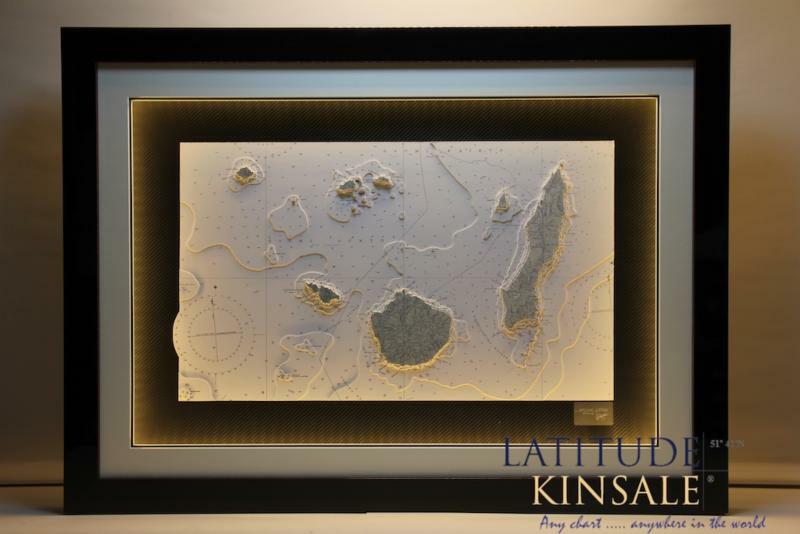 3D charts of islands take on a extra dimension – when looked at from a distance one gets an abstract view of shapes that become more pronounced at night time. It started as a chart, it was transformed into a 3dimensional chart and can also be viewed as abstract art.